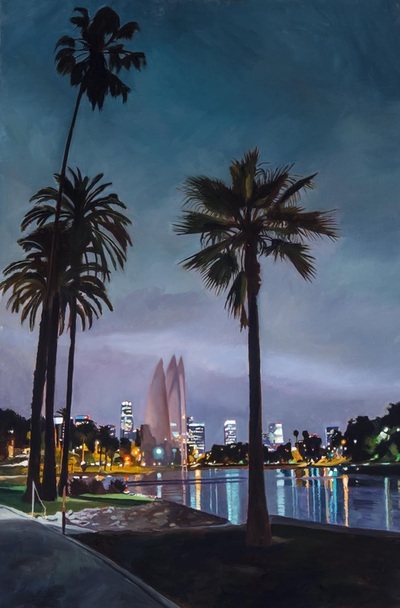 When asked what kind of paintings I make, I usually call my work "Urban Landscapes" to distinguish them as paintings about areas of human habitation rather than landscapes that reference the natural world. 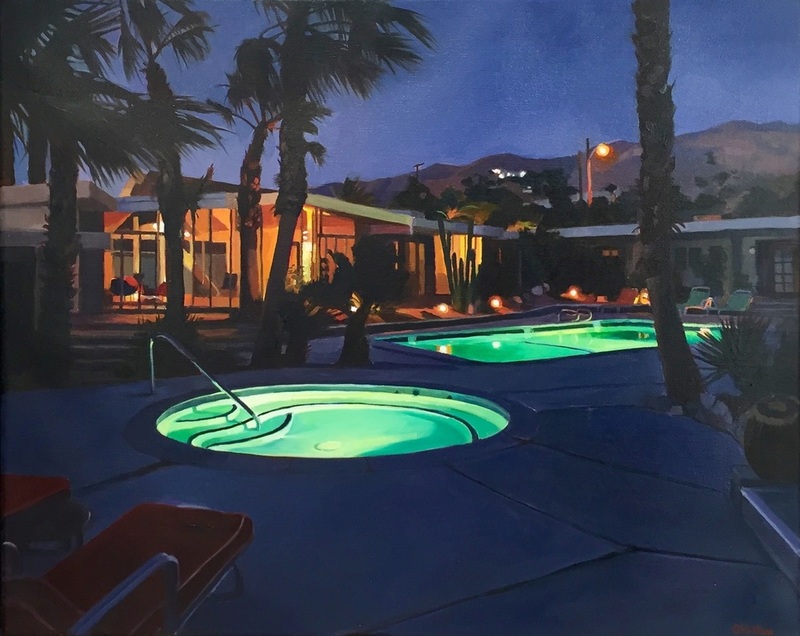 But my subjects are certainly not all urban – some are suburban, some small towns and some are ruins, such as a faded sign and abandoned business bleaching in the desert sun as once populated areas return to their former empty silence. 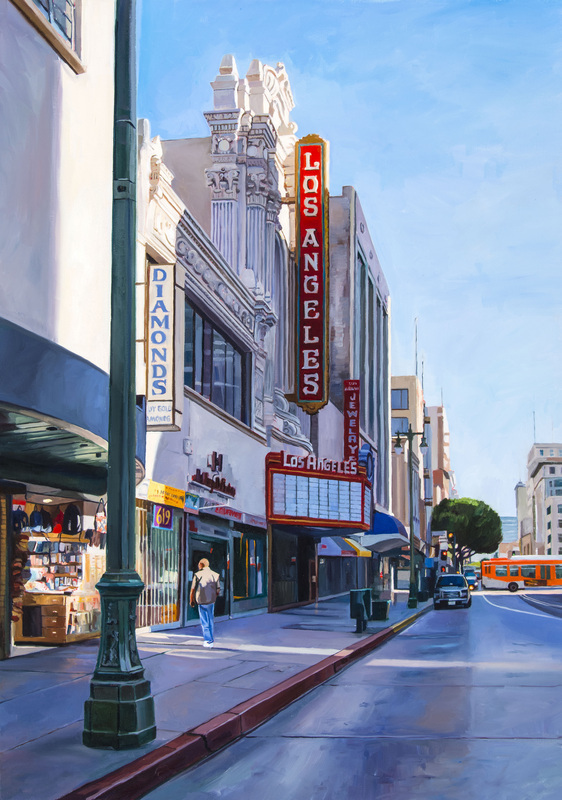 While I often treat older architectural forms, I want to make it clear these are not paintings about nostalgia – all are contemporary scenes, recently observed. 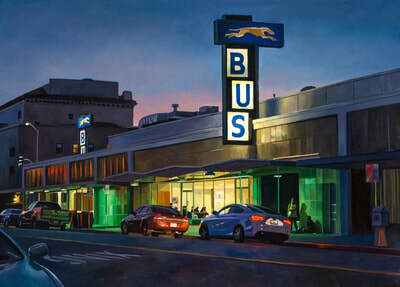 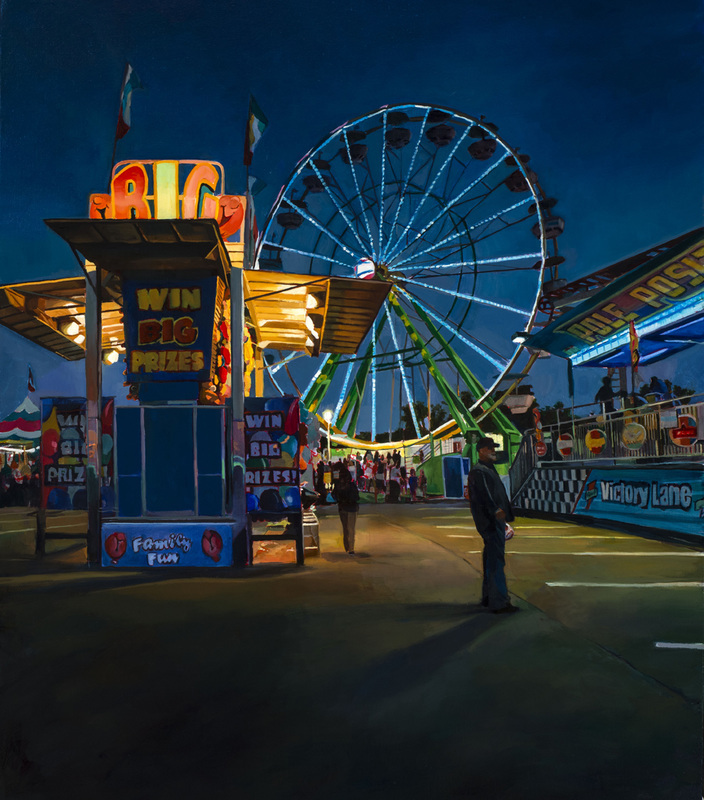 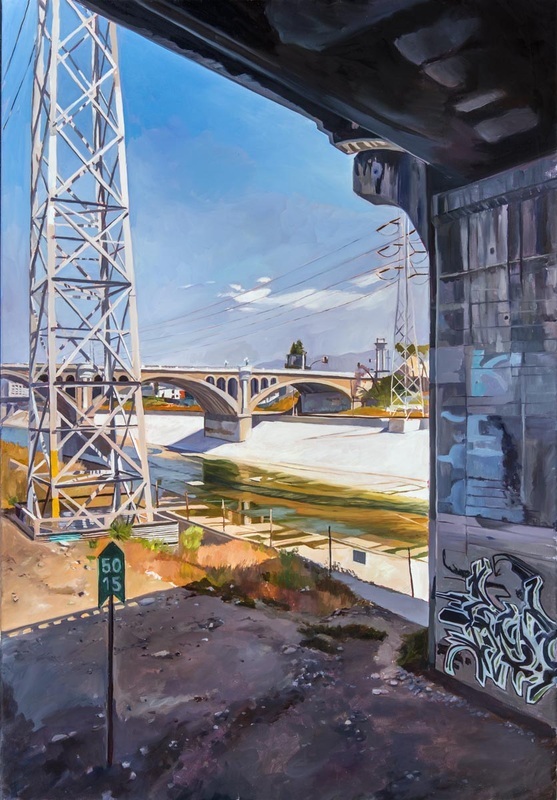 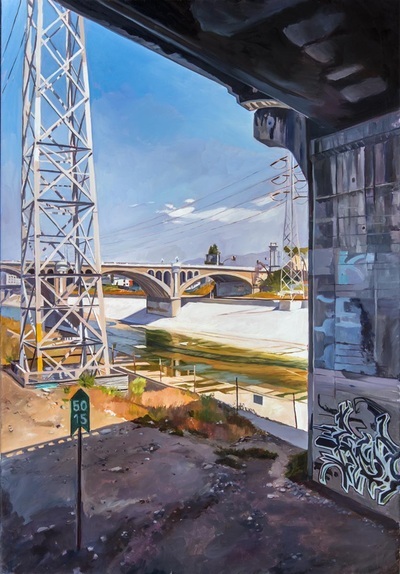 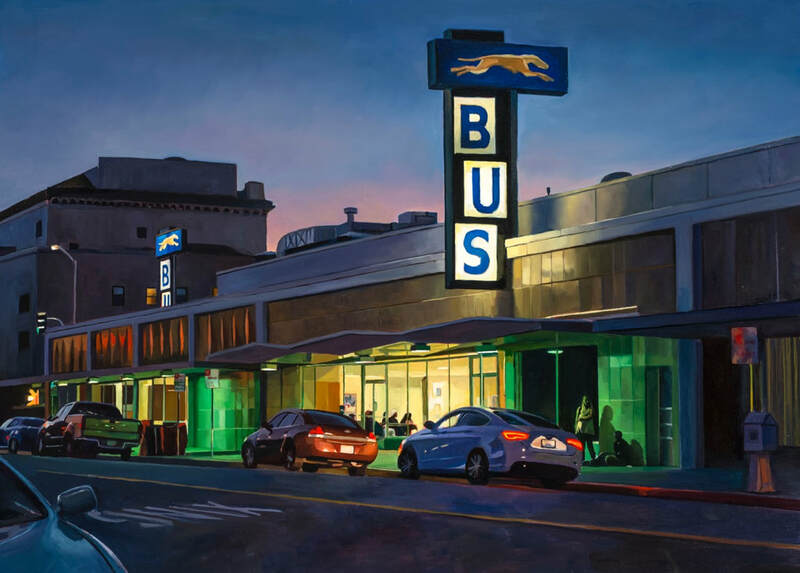 Currently I've painted a number of pictures which seem neither urban nor rural but are set in that particular non-space that now covers so much of the landscape – the limbo of freeway exits and on-ramps and their attendant fast-food franchises. 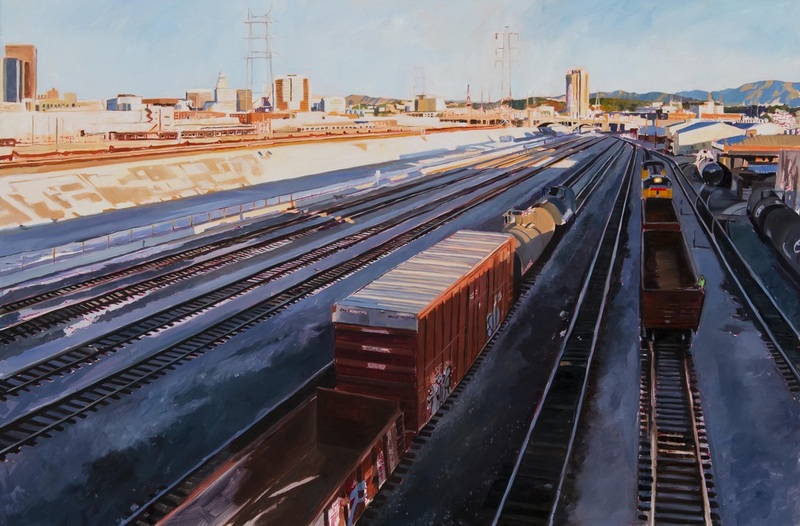 What I feel these mostly unpopulated places I choose to paint have in common is a potency, some kind of emotional charge that enables them to function as settings for a subjective fictional narrative. As the artist I choose and edit the scenes, setting the stage for viewers to bring their imaginations and private meanings to these places made special by my selection and attention.